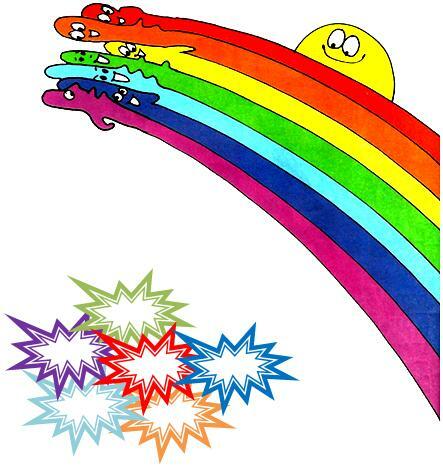 In coloring sheets of preschool coloring activities we will read a story about colors. The story of colors will help us to identify the colors and learn about colors. Preschoolers and homeschoolers can enjoy reading this story. Long ago, there were seven friends. One day Vibgyor invited all his friends for his birthday party. Violet came with nicely decorated brinjal. Indigo too was invited with ice-creams. Green came with green leaves. Orange came with an orange in his hand. His friend red came with a red apple as a gift. enjoyed the party a lot. What does VIBGYOR stand for? Violet Indigo Blue Green Yellow Orange Red (seven rainbow colors in order). Kids enjoy practicing the colorful Fun time activities. Parents and teachers can help their children to practice these coloring preschool learning activities for kids. They can scatter colored objects on the table and ask the kids to separate and make groups according to the different colors. Each preschool coloring activity provides numerous types of coloring sheets that helps to identify colors and practice the coloring sheets which will also help to prepare your child for future success.